Many applications in industries such as bulk materials handling or environmental and recycling technology depend on drives with high torques and mean speeds. 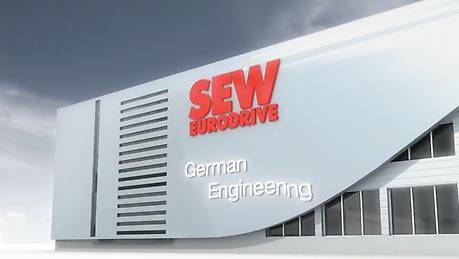 SEW­EURODRIVE has the solution: a perfectly coordinated unit consisting of planetary gear units and standardized primary bevel-helical gear units. If you need a compact, cost-effective solution with high thermal ratings, our planetary gear units of the P-X series are the right solution. These standardized, powerful industrial gear units combine planetary gear units of the P series with primary gear units of the proven X series of industrial gear units. As an added benefit, all the mounting options and optional features of the X series are also available for this solution. The P-X series combines all the advantages of two groundbreaking industrial gear unit concepts. The special optimization of the gear unit housing and the shared oil chamber for both gear units ensure very high thermal ratings. Whether hollow shaft or solid shaft, with a key, smooth or spline according to DIN 5480; whether a horizontal, vertical or angled mounting position, the P-X series offers you a number of options. The flange's increased load bearing capacity means that you can flange-mount even heavy motors. This offers you extraordinary economic advantages, for example through simple installation and alignment. In combination with the high operational reliability, these advantages also help you to reduce maintenance costs. We have the expertise and the tools to provide optimum advice and support.. 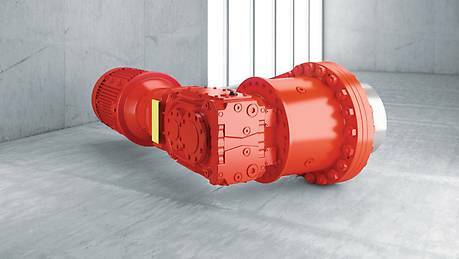 Thanks to the optimal oil exchange between the planetary gear unit and the primary gear unit of the X series (shared oil chamber). With many alternatives available for hollow shafts, solid shafts, keys, etc. Even heavy motors can be flange-mounted. Thanks to simplified assembly and alignment, as well as saving on replacement gear units (for dual drives). We also offer tailored project solutions upon request. The new P-X series of industrial gear units combines the advantages of our P planetary gear units with those of our helical-bevel gear units in the X range.